Today I'm bringing you an amazing offer courtesy of Chilli Olly (The Chilli Chef!) from the Chilli Academy at Edible Ornamentals Chilli Ranch in Bedfordshire. If you haven't heard of them before read my post all about the day I spent exploring the chilli ranch last week - it was a truly brilliant day and I can't wait to go back again soon! 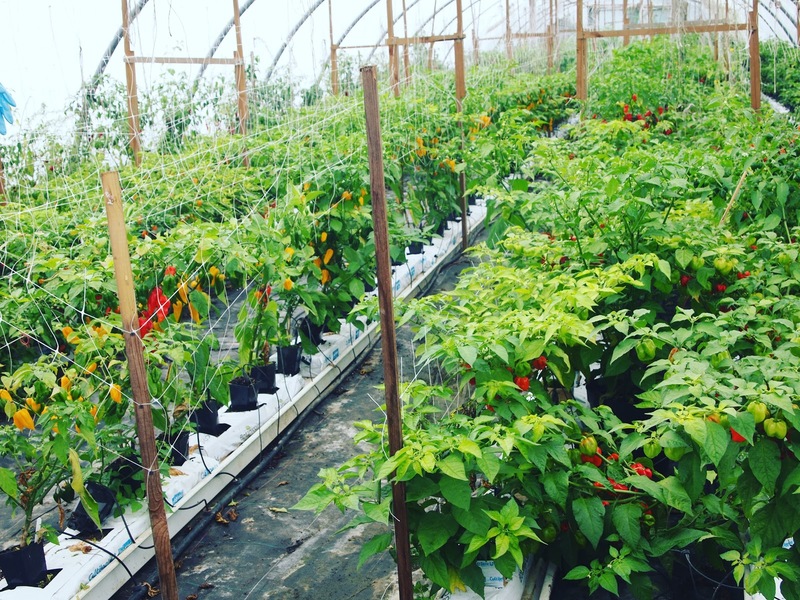 One of Edible Ornamentals newest ventures is their amazing cookery school The Chilli Academy - where you can attend a range of classes to hone your cookery skills and expand your chilli-knowledge in an environment like no other: slap bang in the middle of a real life chilli ranch! The courses combine use of the best ingredients, time with industry experts who'll teach insider knowledge and tips, tricks and skills meanwhile developing your passion and understanding for all things chilli. The Chilli Academy brings you into a world of flavour paired with finding the right heat level for you to enjoy. The chefs and tutors will deliver inspiring classes that expand your palate and enjoyment. Last week I attended the chilli sauce course and it was FABULOUS! I came away having learnt so much about chillies and with a new-found confidence for balancing heat, flavour and texture to create the perfect chilli sauce. At the end of the course you'll have created your very own jar(s) of sauce, labelled and ready for you to enjoy - I'm already into jar two of my creation, it is so delicious - hubby is literally putting it on everything! Ha! 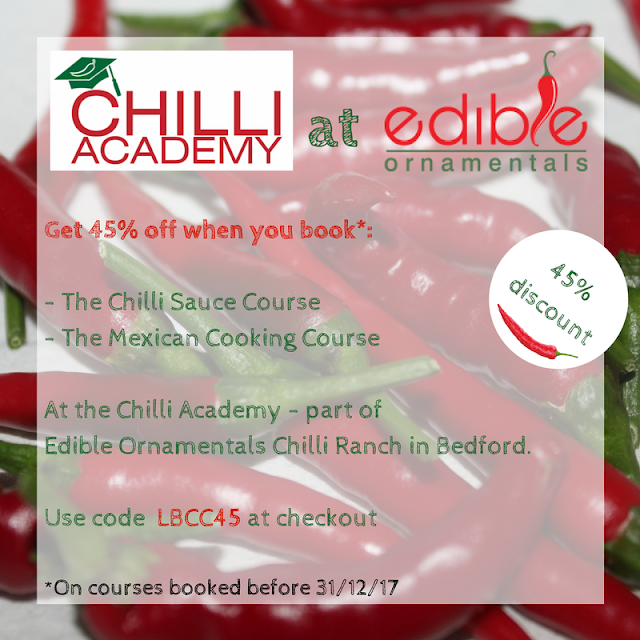 Olly has very kindly offered Mrs Bishop's Bakes and Banter readers a whopping 45% off his Chilli Sauce and Mexican cooking course if booked before 31/12/17 - its a huge discount and I recommend you snap it up - the courses make the PERFECT Christmas present for any chilli lovers, foodies or wannabe chefs, and the ranch is within an easy commute from London (about an hour by train). 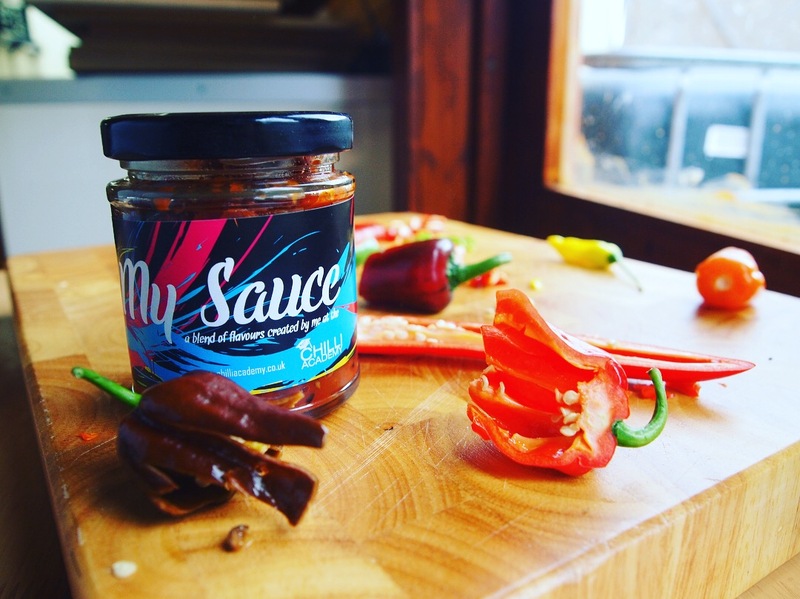 The Academy brings you the ultimate experience in creating your own chilli sauce. You will be inspired to develop the skills you learn and the flavours you discover in producing your own range. So folks, head to The Chilli Academy website and get booking! Use code: LBCC45 at the checkout to get your discount. Do let me know if you book a course and let me know how you get on.